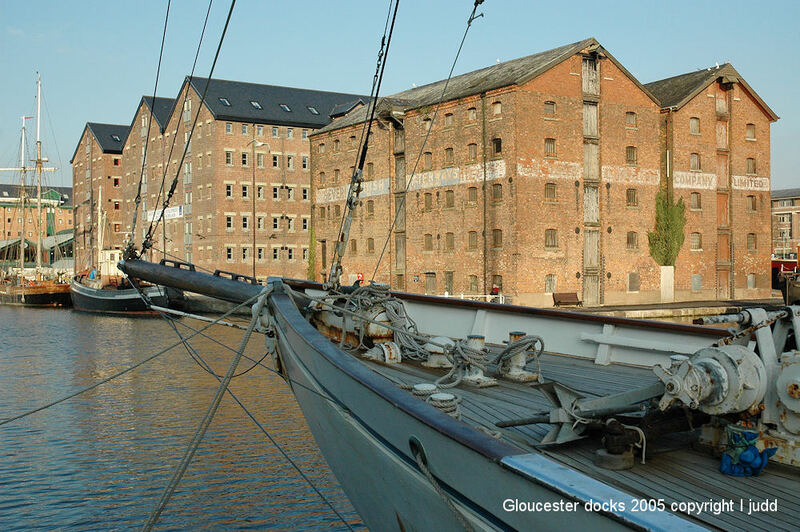 Slightly out of Stroud are the historic docks in the city of Gloucester, that are home to the Waterways Museum and the Gloucester Quays shopping centre. 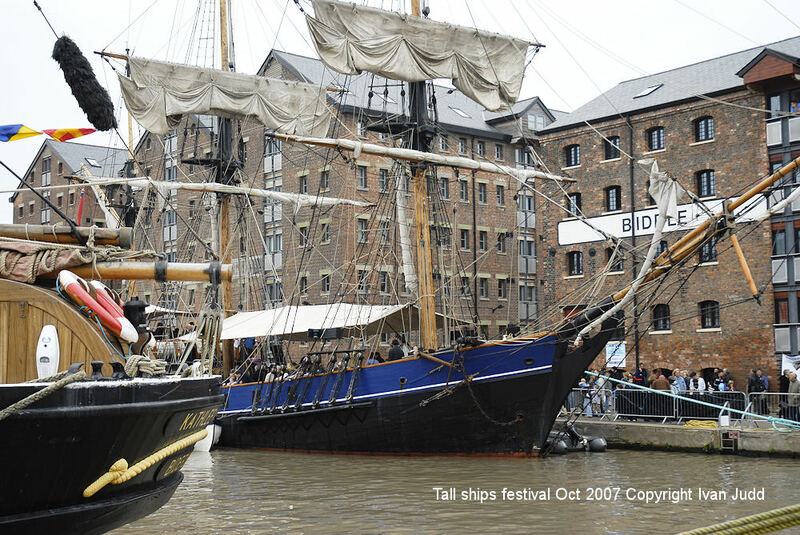 The docks also play host to a tall ships festival that takes place most summers. The docks are very popular, especially in the summer with a number of cafes sited between the main docks and the new Gloucester Quays shopping centre. Like a lot of things that start out small, the once free tall ships festival has turned into a huge pay on entry event and the last time I went the tall ships in my opinion had taken bit of a back seat to traders stalls. Huge numbers of people turn up though so they must be doing something right. 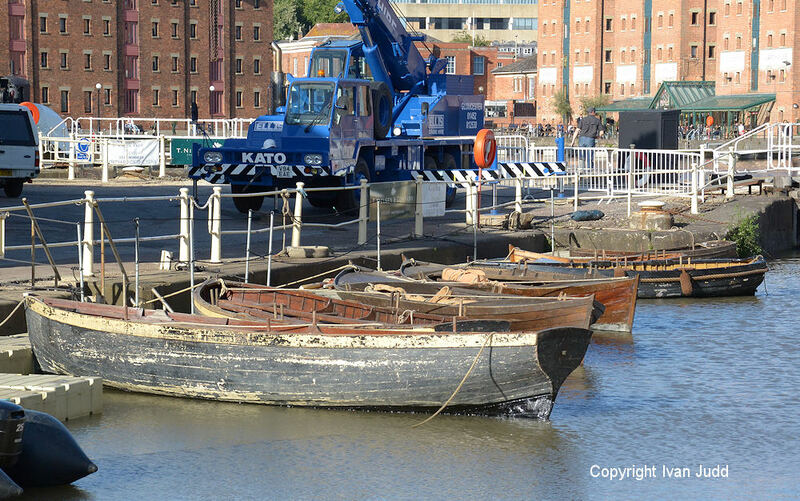 The docks have been used for filming where they bring in lots of props such as wooden barrels and bulging sacks etc to replicate the old docks way of life. A smoke machine is used to hide all the modern buildings such as the bright blue Gloucester College! 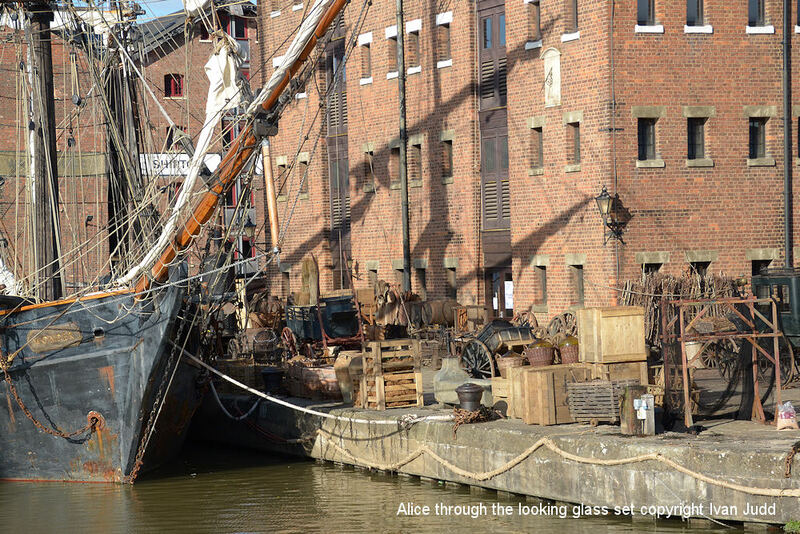 The last film that was shot here was Alice Through the Looking Glass with Johnny Depp filmed in 2014, just after a tall ships festival so there were a lot of old ships still at the docks. The docks were built as an inland port and connected to the River Severn via an especially constructed 16 mile long shipping canal known as the Sharpness Canal that connects Gloucester to the large port at Sharpness. The Stroudwater canal also connects to the Sharpness canal at Saul Junction that allowed goods to be shipped to and from London. A large sea lock at Sharpness connects the canal to the River Severn and thus out to the rest of the world. The shipping canal was built to bypass a difficult stretch of the river, that due to it’s tidal nature and sandbanks isn’t the easiest water to navigate. The canal was built to a designed width of 70 feet at the top and 20ft at the bottom to allow some of the biggest ships of the time passage. It has a depth of about 18 feet which is presumably the depth of water in Gloucester docks although it’s probably silted up a fair bit since then as a recent tall ship travelling up the canal got stuck in mud. The docks get dredged now and again to maintain their depth. 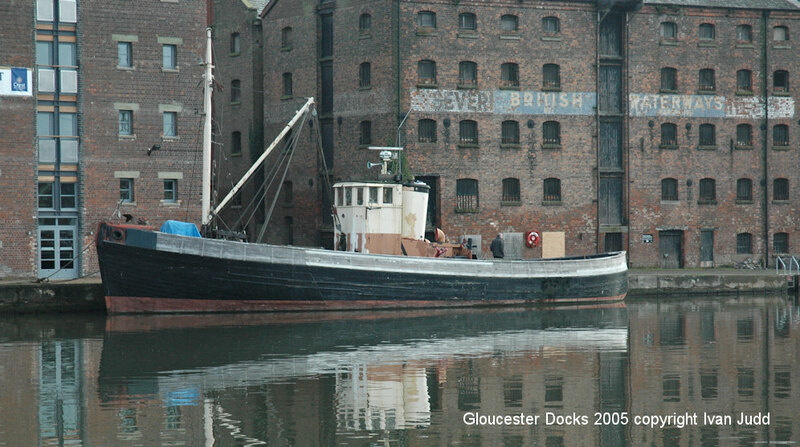 There is an old steam dredger at the docks that is part of the waterways museum. This is sometimes in steam and is shown in the video below. 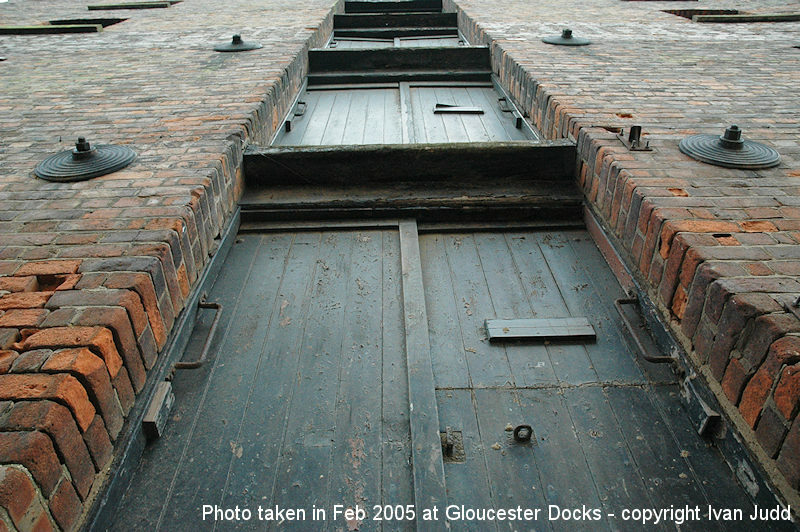 During the construction of Gloucester docks there was a difference of opinion between engineers on whether the main dock basin walls should extend to the bottom of the dock or rest on a ledge part way down. It was eventually decided that the walls should go to the bottom of the dock. The dock walls are interesting as they extend fairly high above the waterline and I’ve overheard boat owners commenting on what a pain it can be to get on and off smaller craft. The docks were so busy in the past that at one point visiting ships were at times required to queue up to enter the main dock. 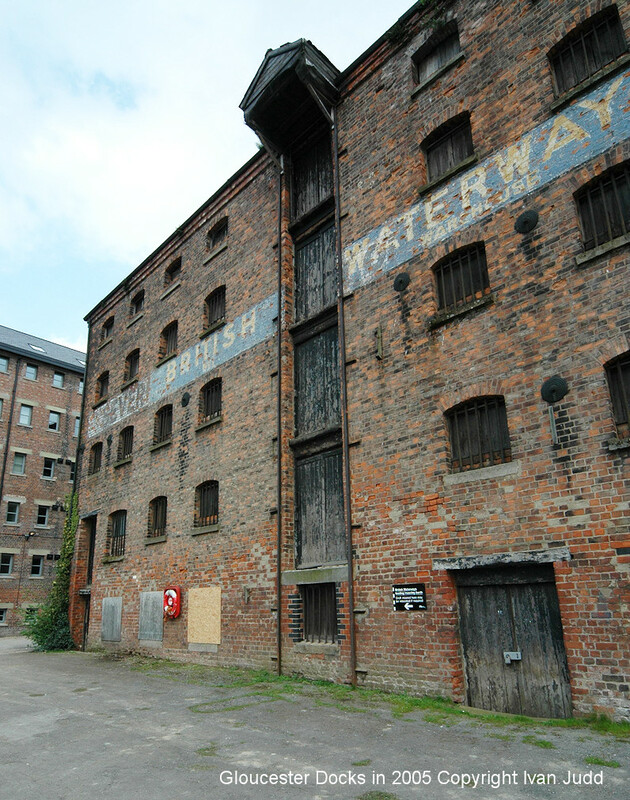 In recent years there has been a lot of development at the docks with the old warehouses being converted into flats. A couple of warehouses before conversion have also gone up in flames, and then rebuilt. 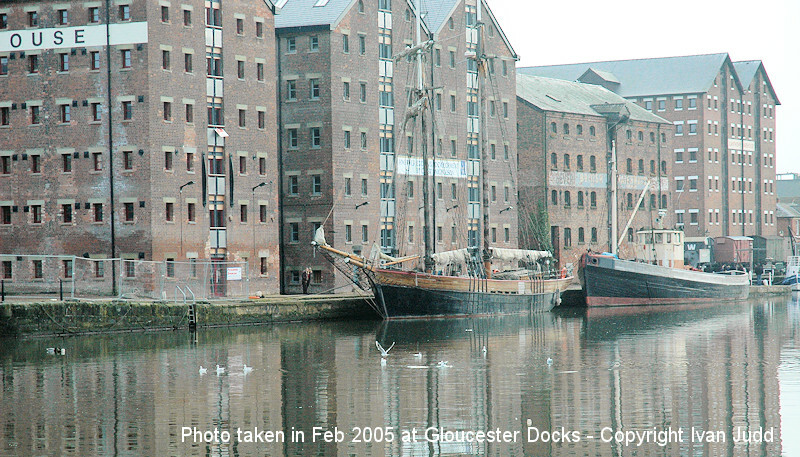 I have a number of photographs that I took in and around 2005 before any warehouse conversions to housing took place or the Gloucester Quays shopping centre was built. The first photo shows some railway trucks in the bottom right. They are part of the waterways museum collection. Will you find any tall ships there on a random visit? Possibly, there is a dry dock and small ship repair yard operated by T Nielsen & Company that repair, restore and build traditional ships and rigging so there are often large old wooden ships in the dry dock or being worked on beside it. There aren’t a lot of original tall ships around now so you might find yourself looking at a replica. Unless you knew it was a replica you would never know though! 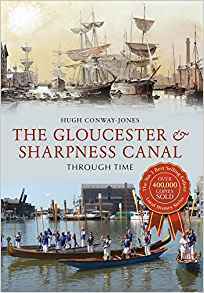 There is an excellent book called The Gloucester and Sharpness Canal that details the design process of building the docks and the routing of the Sharpness canal canal that is well worth a read. There is an Amazon link to it in the sidebar, or if on mobile it will appear further down the page. 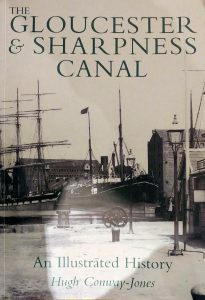 Buy books for related to the docks and the Sharpness canal.